I was amused by the recent flurry of media releases proclaiming the adoption of algorithmic trading in derivatives markets. Pay no attention to the man behind the curtain, could this be important new information that somehow leads us to enlightened trading? Or is it the case there is nothing more deceptive than an obvious fact? The latter are the words of one well-known sleuth, whose Watson would likely retort, “No kidding, Sherlock,” or something roughly comparable. Avoiding the temptation to offer my own breaking insights, such as The Internet is here to stay! and Mobile communications expected to take off!, I will instead stay the high road, eschewing mirthful gratification for the sake of propriety. As our sleuth would advise, if you eliminate all other factors, the one which remains must be the truth: while other vendors are merely talking about algo trading in derivatives, Trading Technologies has been delivering for several years. I am therefore tickled pink that other vendors are now “discovering” this space. The algos are not missing, they are here. In production. Today. One of TT’s first algorithmic solutions was our hosted Autospreader® Strategy Engine (SE), which is a very-low-latency computational server for executing synthetic spread algorithms such as calendar rolls, synthetic strips, butterflies and condors. Recent enhancements to this system include intuitive rule building for customized handling of pre- and post-trade hedging, as well as conditional participation and synthetic sniper spreads. The Autospreader SE product is complemented by TT’s Synthetic Strategy Engine, another proximity-hosted server that provides a suite of algorithmic order types, including synthetic icebergs, TWAP, POV and triggered algos such as stops and if-touched orders. A leading researcher’s report on algo trading in derivatives, which strangely enough was distributed in conjunction with a vendor’s algo media blitz, listed algorithm types and corresponding end-user demand by type. Interestingly, about 70 percent of derivatives algos listed by this study directly match algorithms that have been available on TT’s Synthetic SE for years. Include the report’s multi-market and benchmark/scheduled algo types, which are supported on Autospreader SE and Synthetic SE, and we arrive at about 85 percent of the report’s forecasted demand for algo types. To the extent TT has had these SE systems in production for years and continues to fine tune and enhance them on an ongoing basis, there is really no news here as far as I’m concerned. Missing algos indeed! And I haven’t yet mentioned TT’s innovative ADL® (Algo Design Lab), which is used in conjunction with TT’s Algo Strategy Engine, yet another offering in our algorithmic SE product suite. ADL is a game-changing technology that allows non-programmers to develop simple to complex algorithms in a visual programming environment. Algos created with ADL can be pushed to the user’s choice of Algo SE proximity servers for microsecond-level performance in any of TT’s hosting centers throughout the world. ADL, which is TT’s fastest-growing product, was released in early 2012 as part of X_TRADER®. Again, I am pleased that others are now waking up to the fact that algo trading in derivatives is more than just a crazy fad. TT also offers powerful application programming interfaces (APIs), including our low-latency TT API for those users who wish to construct their own algorithms using traditional programming languages. And our third-party TT Connected Partner Program includes the likes of Quantitative Brokers and other algo technology providers. We’re also working with recognized leaders on the sell side to bring tier-one bank execution algorithms onto the TT platform. I am thus relieved to learn from pundits and competitors alike that this whole algo thing is more than just a passing fancy. 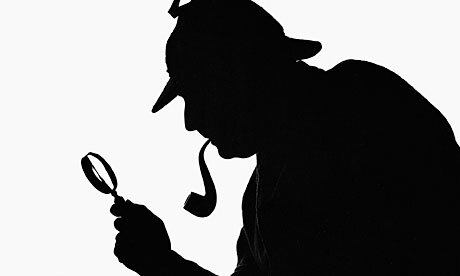 In the words of the great detective, “There is nothing like firsthand evidence,” and at TT, we’ve been delivering the evidence for years. I guess that explains our growth in this arena, which continues unabated. In parting, I welcome any and all newcomers to this fast-moving and exciting space with the words of Sir Arthur Conan Doyle, “The world is full of obvious things which nobody by any chance ever observes”-or at the very least ever admits.